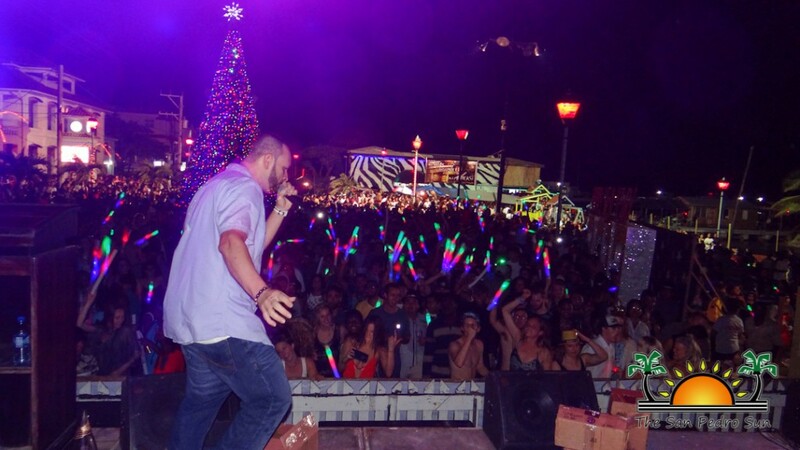 Home » Entertainment » San Pedro brings in 2017 with a bang! 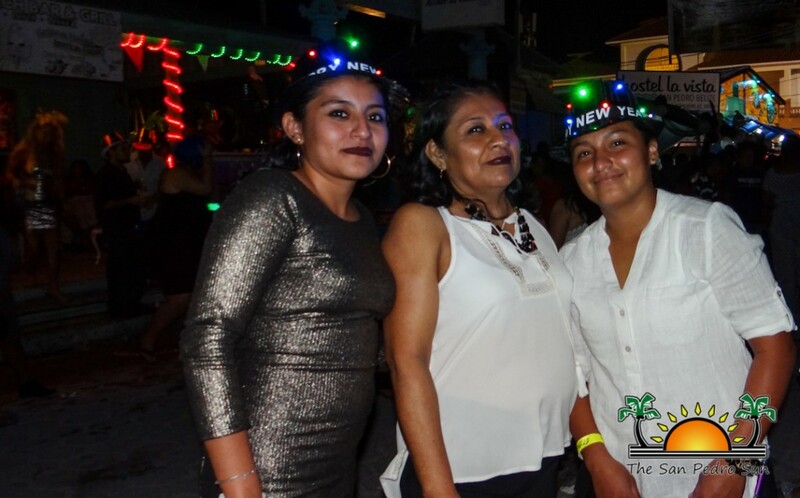 « Older: The Island Academy Christmas Pageant brings down the house! 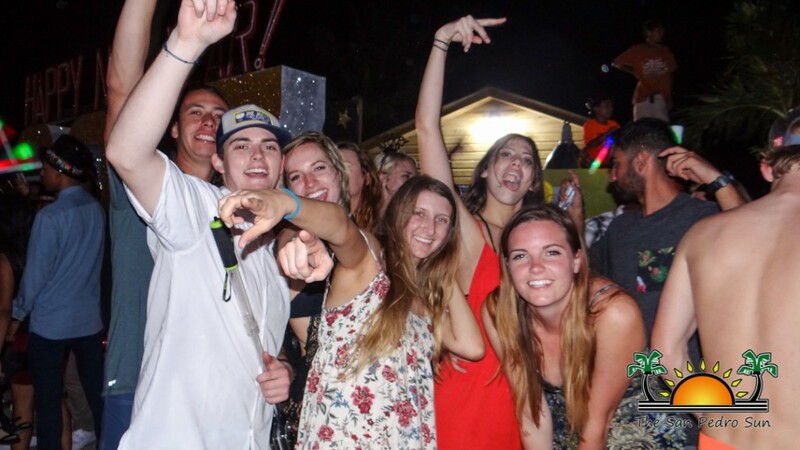 Newer: » 2017 Caye Caulker Lobster Fest canceled; San Pedro and Placencia is still a go! 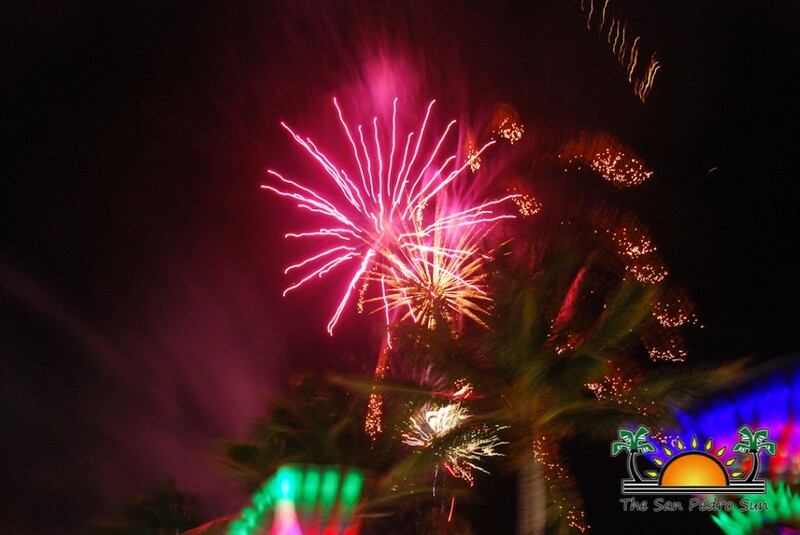 San Pedro brings in 2017 with a bang! 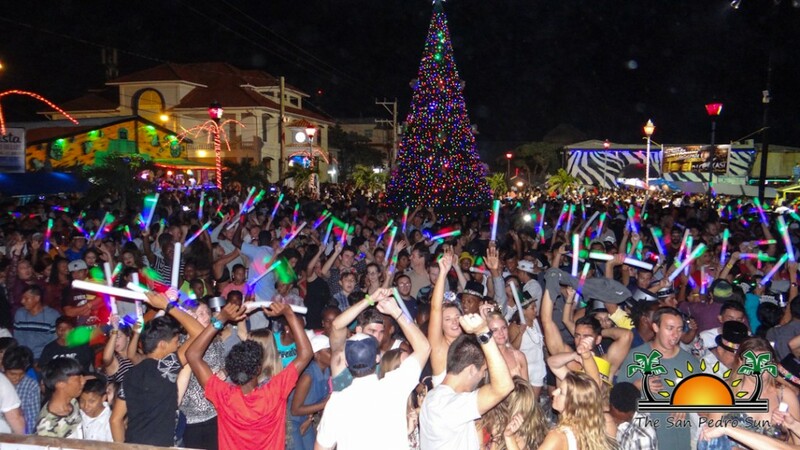 La Isla Bonita definitely has a reputation for hosting faboulous events, in particular, its New Year’s Eve Countdown. On Saturday, December 31st, hundreds of revelers flocked to the Central Park to bid farewell to 2016, and welcome in 2017. 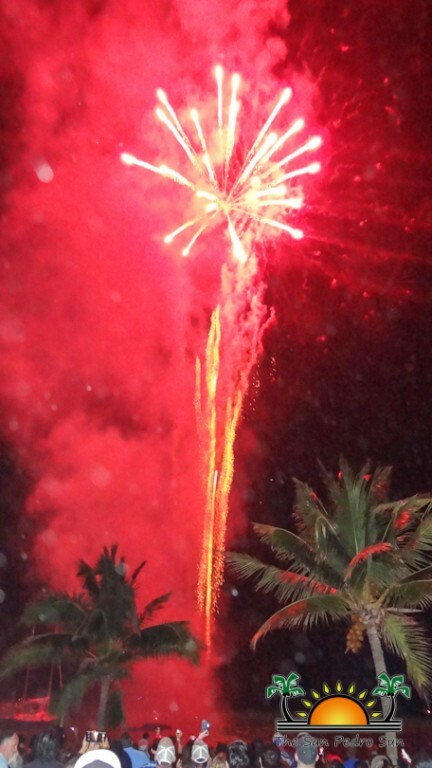 Organized by the San Pedro Town Council (SPTC), the annual celebration keeps getting bigger and better every year. 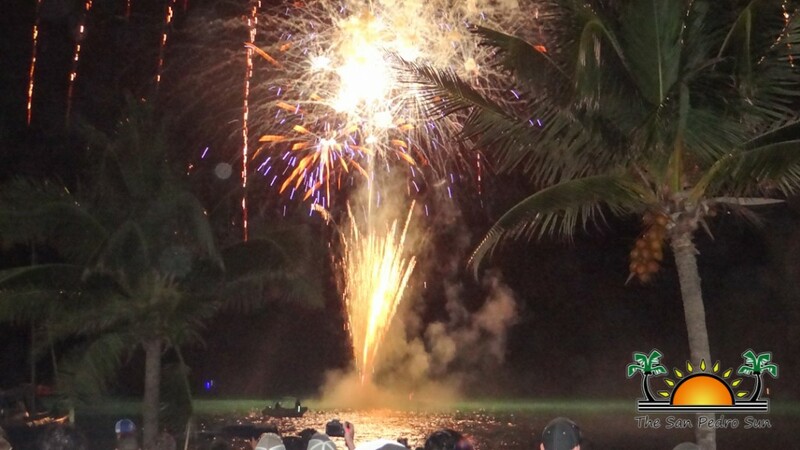 With live music from the hottest bands and DJ’s, many party favor giveaways, and a spectacular fireworks display, everyone who celebrated the special event enjoyed themselves to the fullest. 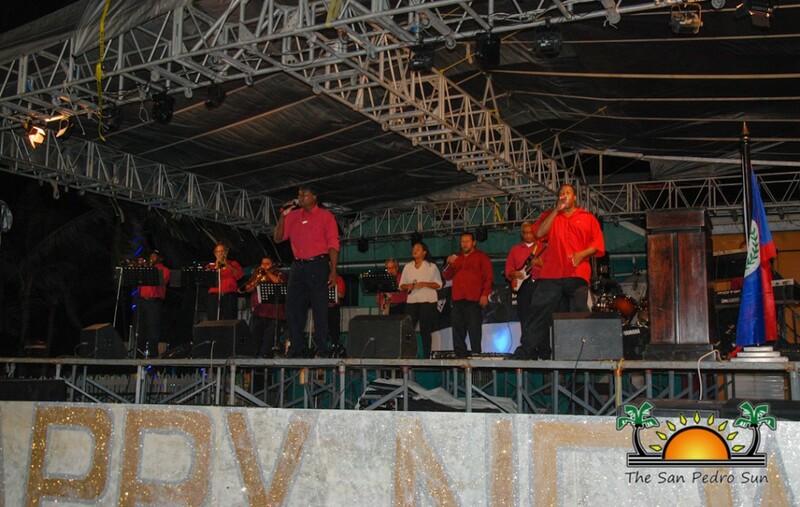 The grand party began at 10PM, with musical performances by one of Corozal’s finest—Caribbean Roots. 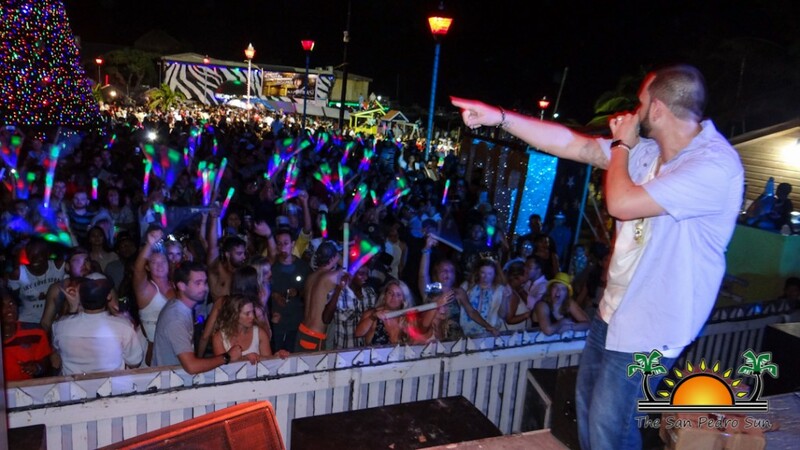 Their upbeat rhythms had everyone dancing as they awaited the big countdown. 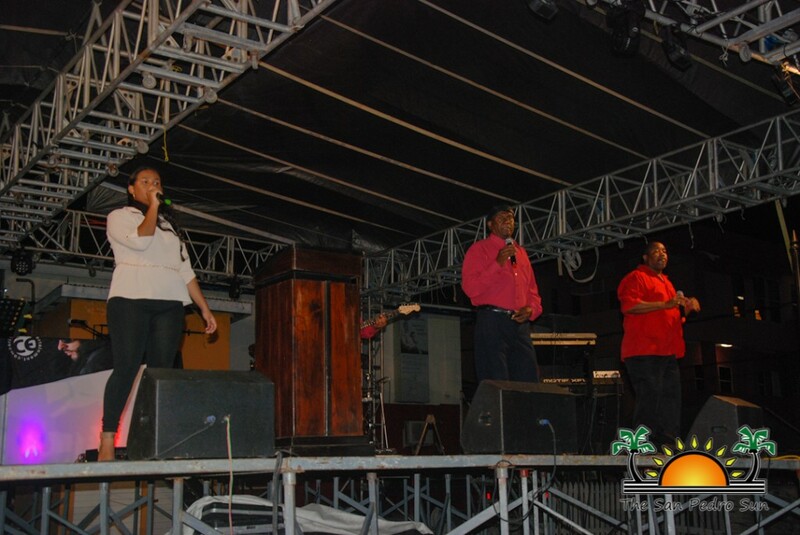 As midnight drew near, official ceremonies started with a prayer by Pastor Clive Welsh of Lighthouse Christian Radio. Master of Ceremonies Eiden Salazar then called Mayor Daniel Guerrero to the podium to deliver his New Year’s Address. Guerrero reflected on the past year’s events. From major incidents such as the downtown fire on June 26th to the devastation of Hurricane Earl, there was much loss. He thanked all of the international and local service organizations, along with private stakeholders, for their much-needed contribution and dedication in making a positive difference. “I want to take the time to acknowledge our true heroes. While we acknowledge that the council is not perfect, we remain committed, and dedicated to our town. The acts of love and help from all of these organizations and private members is what makes San Pedro uniquely special. For that reason, I am particularly proud to call this island home. These good acts motivate me to continue serving you as a humble servant. We can do small things with great love…This is the San Pedro we know and want to keep…One that looks after its people…I love that we can share inspiration and stories in unity that looks beyond politics, race, color, sexual orientation, origin, and socioeconomic status. 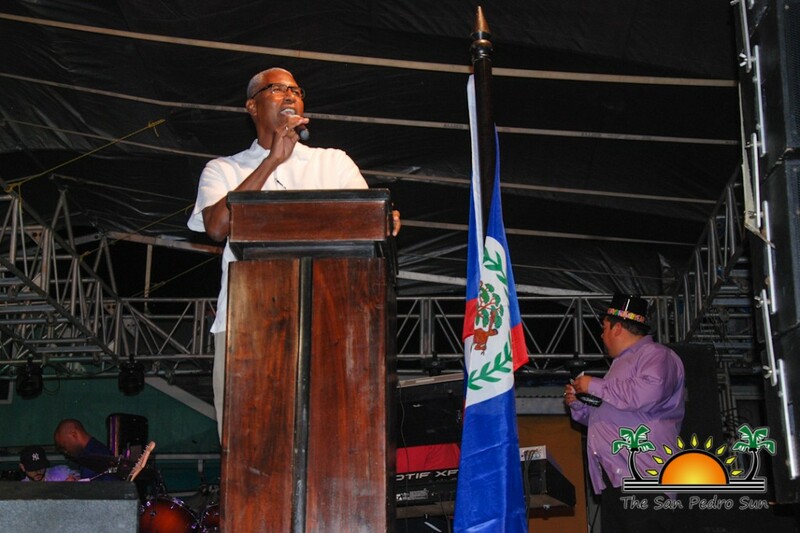 An island that embraces everyone, and opens its doors for equal opportunities. Thank you San Pedro,” said Guerrero. 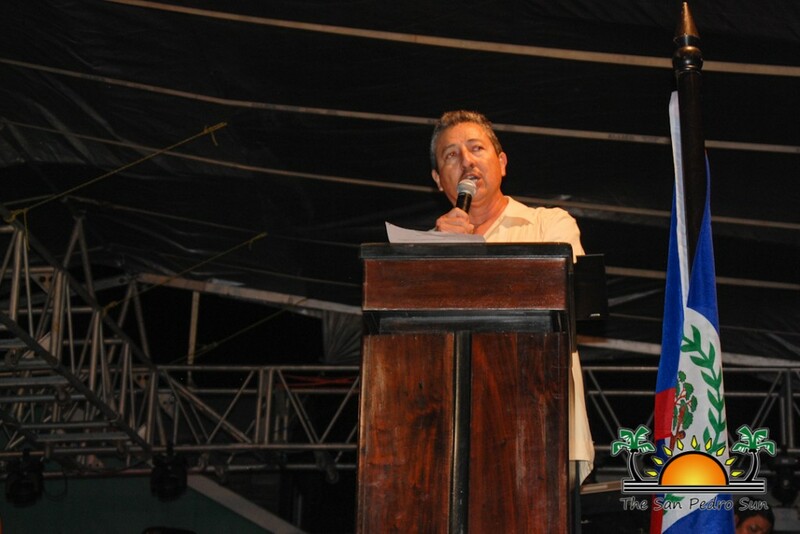 Guerrero also outlined plans for 2017 that will see many improvements, which will increase employment, and address current issues on Ambergris Caye such as: the revitalization of the downtown and beach area, a new road artery from San Pablo area to San Pedrito designated to all heavy-duty vehicles, and increased social and cultural activities. 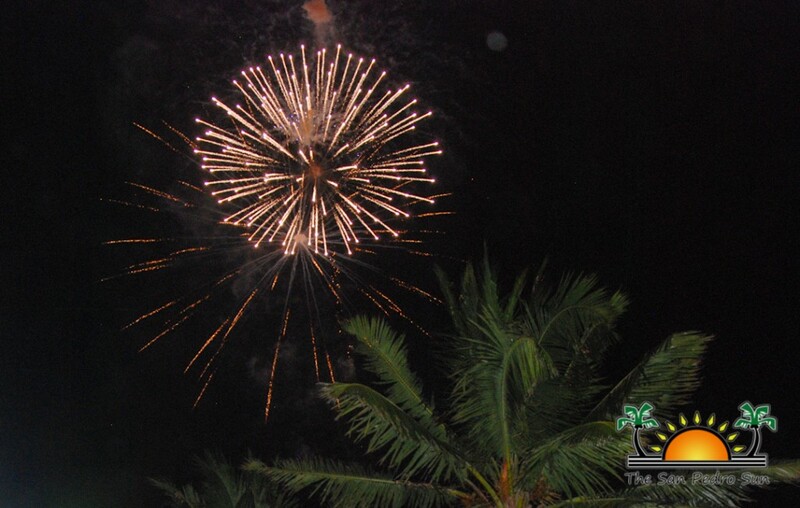 Guerrero also stated that this New Year will most likely see San Pedro Town declared as a city. “I am very proud of the work that has been accomplished. We continue to remain engaged with our community…We have hope for 2017, and remain inspired to look forward to the future,” said Guerrero. The Mayor’s address in just in time to count down, and as the clock struck 12, confetti showered the crowd. 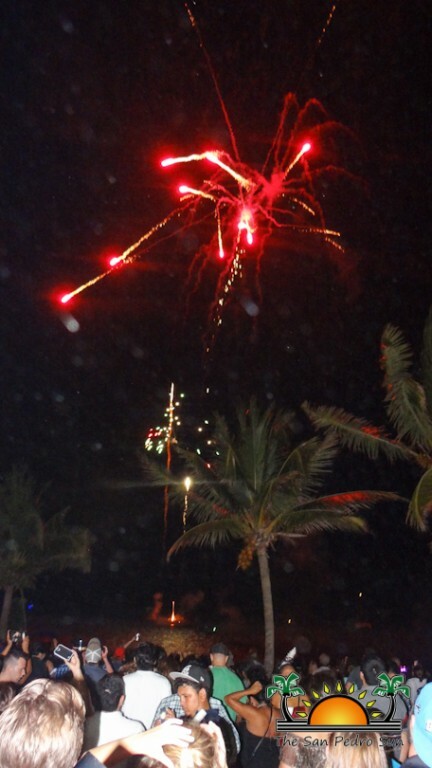 Immediately after, a fireworks display illuminated the skies for 20 minutes light show of spectacular lights. 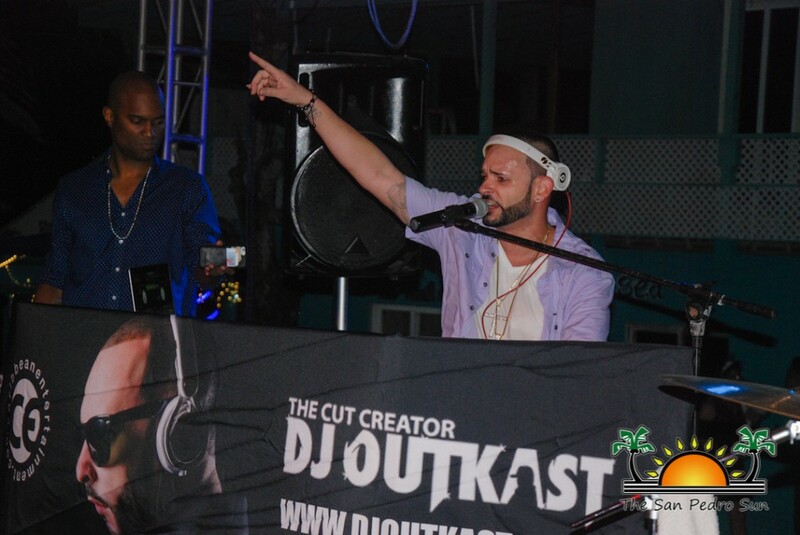 The Cut Creator DJ Outkast straight out of St. Maarten took to the stage bringing his Caribbean and contemporary beats. 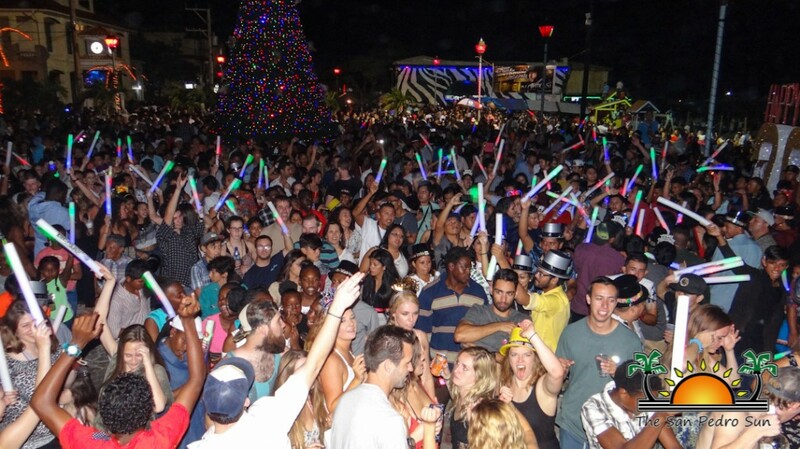 Everyone danced their way straight into the wee hours of first day of 2017, celebrating a new with enthusiasm and optimism. 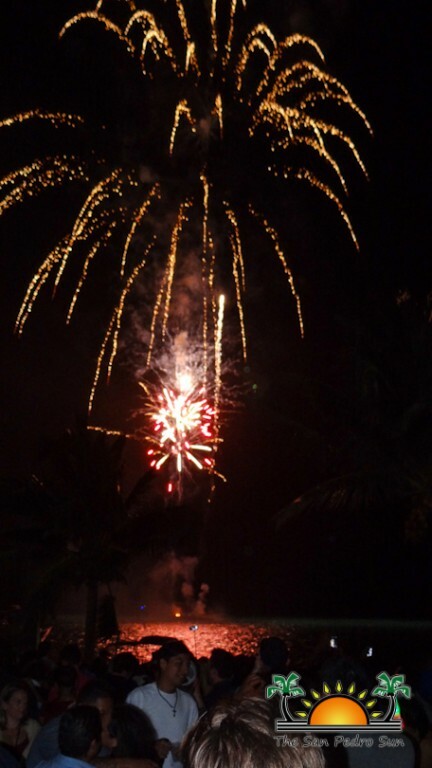 The New Year’s Countdown was truly a night to remember! 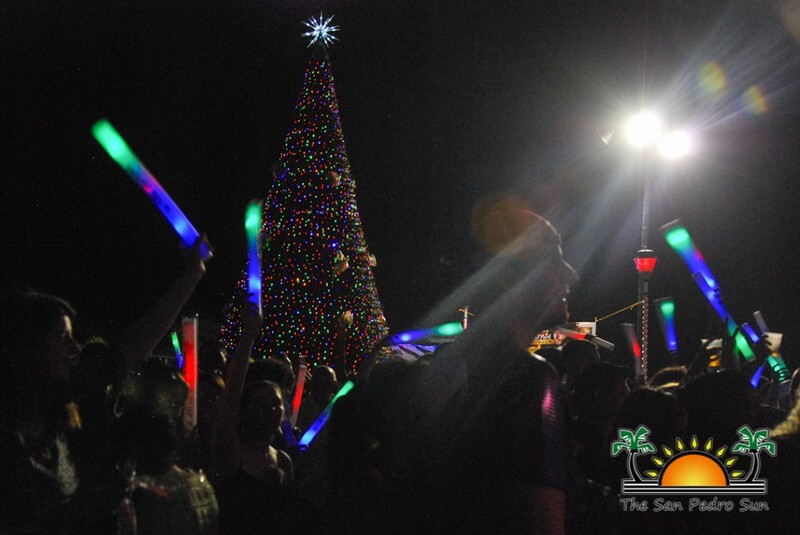 The SPTC would like to take the opportunity to thank everyone who came out to the New Year Eve Countdown. Special thanks goes out to Eiden Salazar, Pastor Clive Welsh, Caribbean Roots, DJ Outkast, Miss San Pedro 2016-2017 Maresha Thompson, San Pedro Town Council’s workmen and Skynet Soundz/Mauricio Mejia.